This is the story of my life. My life as a mom, as a wife, as a woman, as a daughter of God. A life that sometimes feels isolated and is sometimes oh so hard but a life that is beautiful none the less for it is a life given by God Himself. These were my thoughts this morning. 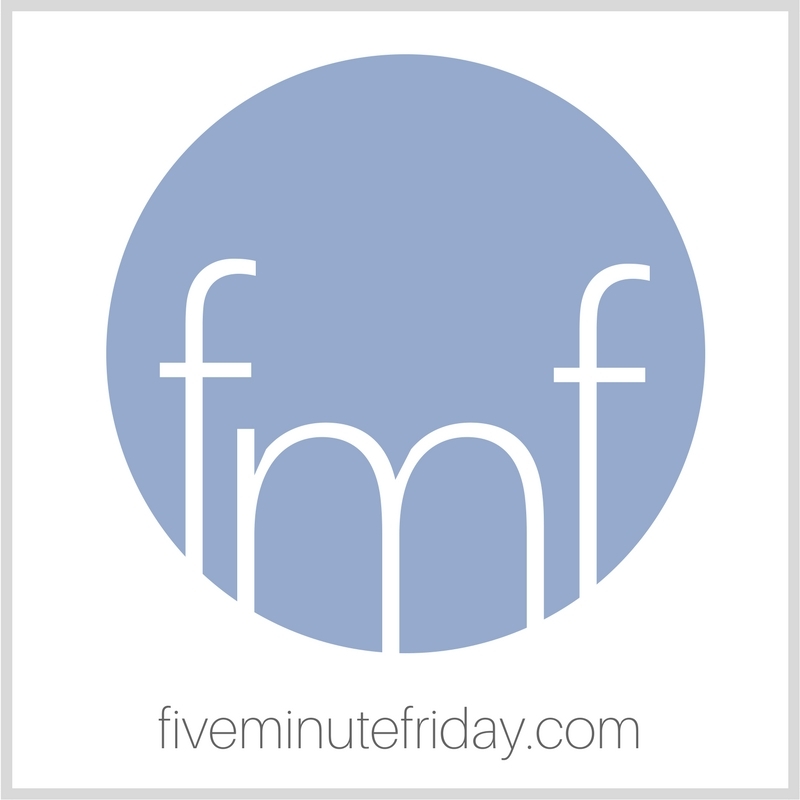 I thought they fit alright with the Five Minute Friday word for this week: work. Work ... as "those who love him"
So, this school year, while I homeschool my girls, I’ve decided to work on memorizing the Fighter Verses (collection of verses put together by Desiring God). 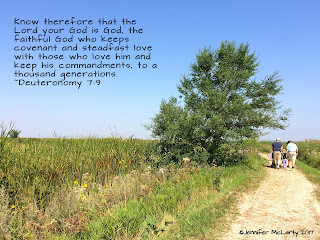 The very first verse is Deuteronomy 7:9. Last night, as I was lying in bed, I was reciting it to myself and feeling rather proud of how well I had already learned it. I was convinced I had the whole verse memorized! This morning, I opened my Fighter Verse binder and looked at it and realized I forgot one key part of the verse. See, I think we, as humans, err on the legalist side of things. “If we just work harder, if we just obey, if we just follow the rules, then God will love us.” Can you guess which part I had forgotten?? Yup: “those who love him”!! What is obedience without love? It is nothing! It is what the older brother did (in the parable of the Prodigal Son), proving that he was, in fact, the one that was truly lost! But isn’t that our tendency? In our minds, it is easier, probably because it’s more tangible, to measure God’s love for us by how well we work for him, how well we obey him. And yet we deceive ourselves because we cannot even come close to perfect obedience and, without love, all our work is defiled and imperfect and doesn’t meet His standards! “Be holy, as I am holy!” is, in some translations “Be perfect, as I am perfect!” (Leviticus 20:26/1 Peter 1:16) But we can’t attain this level of holiness or perfection. Only Christ can! And, thank God, He did this for us! But then there’s love. No, we can’t love perfectly either (though we think that if we do lots of loving things it means we love a lot … another deception we tell ourselves.) But if we love God, truly love Him, then obedience flows out of that – not out of duty (because we have to) but out of love (because we want to). Then obedience is no longer really work but it is a pleasure! Yes, there are verses in Scripture about work “work out your salvation…”, “work heartily, as for the Lord…” but I believe that this idea of work is really about delight and the outflowing of love for our Lord, not about duty, which is our tendency. Work, yes, but don’t forget to first love! You can work & obey, without love (but it is empty work, empty, meaningless obedience) but you cannot truly love without obedience. Otherwise it is empty, meaningless love – simply words to look good but not how you truly feel. Such a good reminder to do and obey out of a love for God and not out of ritual or duty. Thanks!